Kia has taken a huge leap with the new Telluride three-row SUV. The Telluride is a large SUV just above the Kia Sorento. The Sorento is Kia’s other 3-row passenger vehicle. According to Kia specs, the Telluride is longer and wider than any of its predecessors. And because of its size, the Telluride transports up to eight people, where the JEEP Grand Cherokee seats 5. 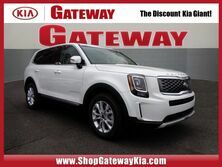 Additionally, outside of its size, the Telluride is far more unique than any other Kia model, with the attractive head and taillight designs and tough truck-like shape, the Telluride will turn everyone’s head. The striking new Kia is nothing like the old favorites like Chevrolet's Tahoe or GMC's Yukon. Unlike the old-school monsters, Telluride has a Transverse-mounted advanced all-wheel-drive powertrain. Surprisingly, the 3.5-liter V6 hybrid electric offers an incredible 400 combined horsepower and 30 mpg highway. Although labeled 2019, Kia announced the model will be released later in the year for 2020. Lastly, even though the Telluride is marked as a midsize luxury SUV, its size is close to American full-size SUVs. For that reason, we’ve paired the Kia Telluride to the JEEP Grand Cherokee. The Telluride is a daring innovation for Kia, but that’s because Kia recognizes the luxury SUV market is increasing. Telluride is a hybrid sport-utility vehicle, so it’s more than just a concept. It challenges buyers to rethink how an SUV can fulfill everyday needs. Kia claims the Telluride’s boldness is all-inclusive, advancing its design, luxury, comfort, and technology beyond other manufacturers. Our competitor, the Grand Cherokee is classed a "Sport-utility," and filled with a plush interior and plenty of luxury and technology. Nonetheless, we paired the two because the exterior dimensions are slightly smaller but match closely with the Telluride. Also, as with the previous generation of JEEP, they come with quite a few engine variations and trim models. The Grand Cherokee has never actually conquered the SUV reviews in any class, but it has always been sought after as a public status symbol. Similar to how Cadilac was a public status symbol in the 60s and 70s. No other SUV has accomplished such status, and we’d love to see the Kia Telluride start a new trend. The Grand Cherokee offers enough off-road ability to overcome almost any trail, and its V8 engines contribute substantial power to its success. It also offers impressive tow ratings for the class where many SUVs fail. What we didn’t like about the Grand Cherokee is its firm ride, and that is with air suspension. This may disappoint drivers looking for a good all-around vehicle offering a smooth ride. Another problem is its limited cargo capacity which cannot compare to the Telluride. And last but not least, the Grand Cherokee has weak acceleration with its V6 engine. Obviously, nothing will be comparable to JEEP’s 707-horsepower Grand Cherokee Trackhawk, but that’s a comparison for a Camero or Mustang. As always, we have great things to say about both the 2019 Kia Telluride and the 2019 JEEP Grand Cherokee, but the best comparison is the one you make. Add your name to our list of customers who want more information about the 2019 Telluride. Better yet, stop in or schedule a test drive in any one of our luxury Kia vehicles. 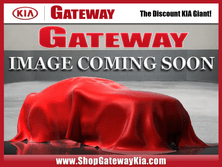 Experience Kia yourself!